The Northern Territory has been declared banana freckle free, with the proof of freedom from the disease declared on 1 February. This huge success has been achieved due to industry, government and the community working together, along with other states and territories. The road to recovery for bananas in the NT has been progressing well following the lifting of the internal movement regulations. This has allowed commercial growers to replant, nurseries to sell plants without a permit and has allowed Territorians to return to growing the popular fruit in their backyards. Australia’s banana industry is worth $600 million, and reaching this milestone is a great achievement. Banana freckle will remain a declared pest under NT plant health legislation so everyone will be required to take measures to report and reduce the risk of spreading the disease should it re-occur. 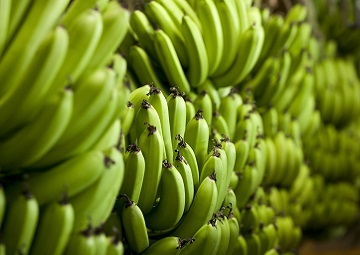 Territorians are urged to remain vigilant and continue to check their banana plants regularly for any signs of banana freckle or other pests or diseases, and to avoid moving or sharing plants. Banana Freckle symptoms should be reported to the Exotic Plant Pest Hotline, 1800 084 881. Biosecurity is everyone’s responsibility. Good biosecurity supports our local producers, and helps ensure the health of our waterways, natural environment and backyard gardens. Proof of Freedom was endorsed by the National Management Group on 1 February 2019. Read more in the department's media release.